JULY 6th UPDATE: IT'S OFFICIAL! Thanks to your incredible support, Athens Film Arts Institute Inc. (AFAI) now owns the building that houses Ciné and The National! YOU did it! YOU saved Ciné! YOU have given us a future and ensured Ciné remains part of the downtown Athens landscape for years to come. Thank you for helping us achieve this remarkable milestone. Our capital campaign will continue on towards the goals of full and clear ownership of the property within the next two years, continued maintenance of the building, improvement of facilities, and expanded opportunities for programming. There are many ways to make a gift to Ciné -- whether you plan to donate online, establish a monthly or annual gift, through stock donations, or pledge a planned gift. Athens Film Arts Institute is a 501c3 non-profit organization and your donation is 100% tax deductible. DONATE TODAY! JUNE 15th UPDATE: WE MADE IT! We have now reached the final match challenge, taking us past our stretch goal of $125,000! THANK YOU so much to our gracious match challengers, Tony Eubanks, the Kirbo Foundation and Mike Mills, and THANK YOU so much to each of you who contributed towards their challenge! We are so grateful for all of your support. The other incredibly exciting news is that we have received approval on the bank loan allowing Athens Film Arts Institute Inc. to move forward with the purchase of the building! We cannot thank each and every one of you enough for your generosity and your outpouring of support! The Athens community has truly stepped up to support local arts and culture, and has taken our campaign to heart with concrete action. As of today, and because of YOU, we can have confidence that Ciné will remain a vibrant community space and cultural asset to downtown Athens for the foreseeable future. CONGRATULATIONS! YOU MADE IT HAPPEN! MAY 28th UPDATE: THANK YOU FOR HELPING US REACH OUR GOAL! 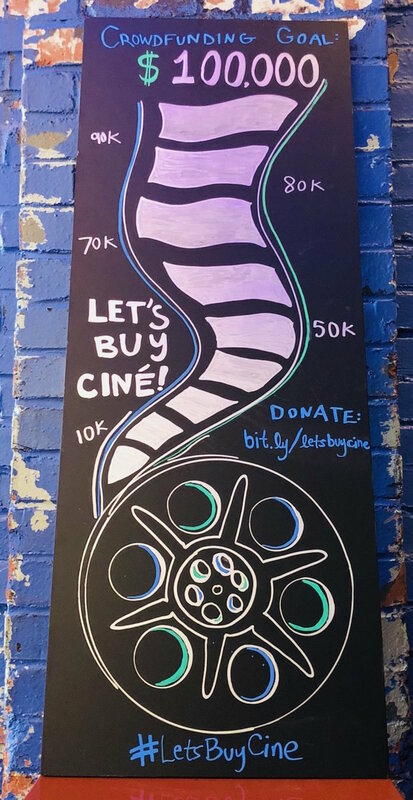 Thanks to the generosity of Ciné supporters like you, we have raised over $100,000 towards the purchase of our building! With this news, we have just received ANOTHER MATCH CHALLENGE from former AFAI Board President Tony Eubanks, The Kirbo Foundation and Mike Mills, who together have offered to double your contributions, dollar for dollar, up to $13,000 by June 13th! With this incredible offer, we have decided to make a stretch goal for the crowdfunding campaign. Our new goal is $125,000! Funds raised beyond the original goal will go towards further securing the purchase of the property and ensuring Ciné's sustainability. Thank you to all who have donated and shared our campaign thus far! MAY 25th UPDATE: THANK YOU FOR MATCHING $20k! This week, thanks to donations from supporters like you, we have reached an incredible match challenge goal of $20,000. A generous anonymous donor has matched your donations dollar for dollar, and with their matching donation, we're so excited to say we have now secured over $98,000 towards our $100,000 goal! We are humbled and grateful by this outpouring of support and belief in Athens' only nonprofit cinema. MAY 17th UPDATE: THANK YOU FOR MATCHING $10k! This past week, kindhearted donors like YOU helped us reach the $10k matching challenge, surpassing that goal by raising nearly $23k in just one week! MAY 7th UPDATE: THANK YOU FOR MATCHING $5K! Thank you for knocking a $5K match challenge out of the park! A generous Ciné donor matched contributions dollar for dollar up to raise $5,000 in five days and generous donors like YOU made it happen. LET'S BUY CINE! DONATE TODAY! THE ATHENS FILM ARTS INSTITUTE (AFAI) has a brief window of opportunity to buy the building that houses Ciné, and with this goal we are fundraising for a three-year, $2.5 million capital campaign, which will cover the purchase and maintenance of the building, improvement of facilities, and expanded opportunities for programming. Ciné’s location is highly desirable, prime real estate, and buying the property is necessary to provide stability and security to our long-term, nonprofit mission. We plan to secure a mortgage on the property when we have raised the amount sufficient for a down payment, and then continue to raise funds until we can purchase the property outright. As we celebrate our 11th year as Athens’ only downtown movie theatre, you can help ensure that our cinema can celebrate many more years in its beloved downtown space. Athens Film Arts Institute is a 501c3 non-profit organization and your donation is 100% tax deductible. TAKE YOUR SEAT AT CINE! 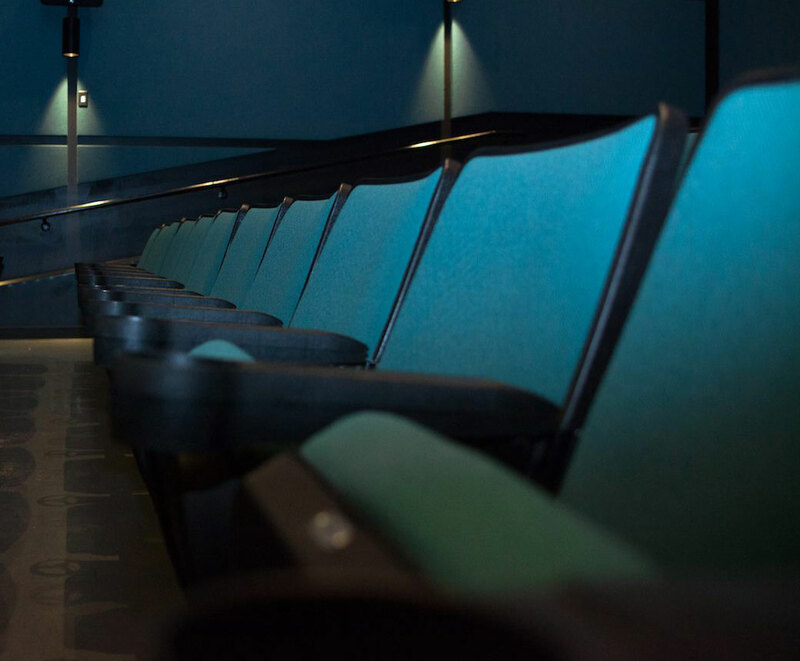 Contribute to our fundraising campaign by naming a seat at Ciné! Available for purchase in person at the cinema only. Limited availability. One plaque per seat at $150, good for the life of the seat. Makes a great gift! *Please note that dedication of a seat does not include an individually specific seating assignment, and that sponsors must also still purchase tickets for any screening or event in the theater. THANK YOU for your support on #GivingTuesday. YOU, Ciné Supporters, soared past our goal of $10,000 and raised over $12,400 to help secure Ciné's future at 234 W. Hancock Avenue… all in one day. LET’S BUY CINÉ! Help save Athens' only art house cinema!